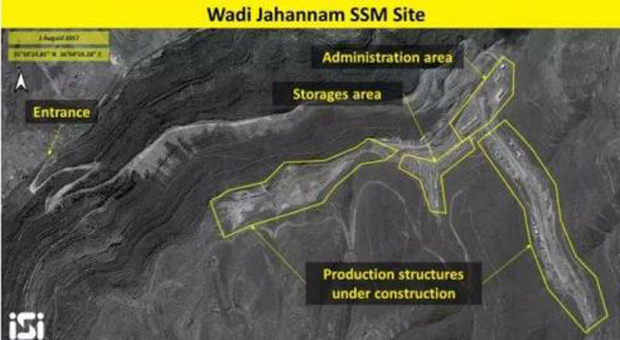 As the tensions between Iran and Syria become more intense, new reports from Israeli media claim Iran is constructing a new surface-to-surface ballistic missile factory in the country. The reports claim that Iran's military is taking advantage of Russia's sophisticated anti-aircraft defense systems in order to construct the sites within range of their protective defense umbrella. 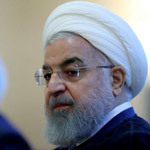 Iran recently unveiled its first-ever deadly domestic fighter jet at a defense show, where President Hassan Rouhani personally inspected the aircraft before warning the US of "the consequences" of an attack. 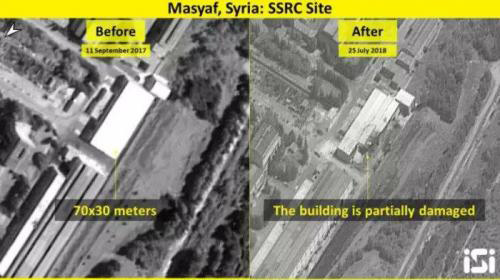 The Jerusalem Post used an open-source satellite image analysis site ImageSat to claim Iran is taking advantage of Russian defenses to avoid Israeli retaliation. Russia deployed the advanced mobile S-300 and S-400 anti-aircraft batteries to Syria in October 2017. The batteries are capable of engaging multiple aircraft and ballistic missiles at a distance of up to 380 kilometers, covering virtually all of Syria as well as significant parts of Israel and neighboring countries such as Turkey and Jordan. 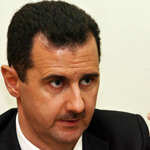 ZH reports: Israeli Prime Minister Benjamin Netanyahu has on multiple occasions over the past year warned that Iranian missiles in Syria would constitute a "red line" for which Israel would act militarily. Over a dozen Israeli strikes have occurred at different locations in Syria recently — mostly in the south and central parts of the country, ostensibly aimed at curtailing the establishment of any permanent Iranian troop or weapons deployment presence. As lately as Wednesday Netanyahu warned that Israeli would continue being proactive against its enemies and that it "has the means to destroy them". Israeli officials and military officials have lately tried to claim Iran "is taking over" Syria, though Syrian war analysts have by and large dismissed the claims. In the past year, the IDF noticed that Iranian efforts in Syria have been increasing, with Soleimani sending from Iran advanced air defense systems with a range of up to 110 kilometers that could threaten Israel’s freedom of action in Syria. 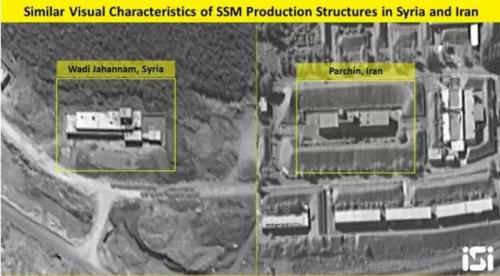 The satellite images, provided by ImageSat as part of a lengthy formal report, purport to show at least one Iranian missile production site under construction which the unconfirmed report notes is in "its final stages of construction and will likely be completed by early 2019". 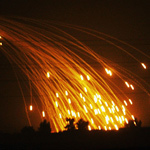 While we don't know the accuracy of such claims, and it appears the threshold of "proof" ought to be much higher (and more than mere visual comparisons of buildings between Iran and Syria based on remote viewed satellite images), it seems that Israeli government and media sources begin circulating such claims every time Washington or Tel Aviv ramps up threats, or are preparing for military strike on targets in Syria. 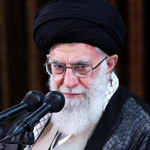 Meanwhile, Iran has owned up to placing long-range ballistic missiles inside Iraqi territory, under the control of Iraqi Shia paramilitary units (PMF) being trained by the IRGC, according to a Reuters report out Friday. As we warned previously this week, it appears that something big is coming in Syria.